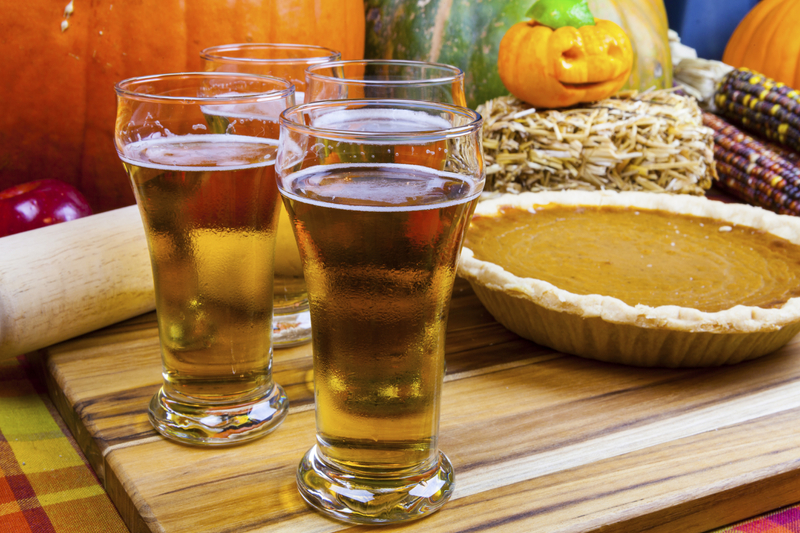 Walk into any local restaurant or bar during this time of year, and you’ll find at least half the customers have a craft beer or special fall-favored wine perched on the table in front of them. Most beer and wine drinkers enjoy the new flavors that pop up during the last few months of the year. This is a great time to take advantage of some of these perennial favorites. Pumpkin. Pumpkin flavors abound this fall! Stock Pumking form the Southern Tier Brewing Company is a must, with a true pumpkin pie taste. Samuel Adams sells their popular Fat Jack, which carries a lot of spice and malt flavors. Destihl Brewery introduces Samhain Pumpkin Porter, a dark drink with spices like cinnamon and nutmeg. Fruit . . . and Vegetables! Add a little goodness with Atwater Brewery’s Blueberry Cobbler Ale, which has blueberry and vanilla flavors. Sweet Yamma Jamma Sweet Potato Ale from the Indeed Brewing Company is perfect with a meat and (sweet) potatoes meal. German. Oktoberfest celebrations last from September through November and call for malty, Germanic flavors. The Sly Fox Brewing Co. has an excellent Oktoberfest Lager and the Free State Brewing Co. shares a great beer that has a mild aroma. And don’t forget the presents that Santa may be leaving under the tree! Anchor Christmas Ale is flavored differently every year, a tradition since 1975. It’s a closely guarded secret as to what 2014 will bring for this popular Ale, but you can count on it to be mellow. Troegs Mad Elf, brewed out of Pennsylvania, has a just a bit of cocoa for those cold winter nights and large holiday meals. 2011 Saint Cosme Côtes-du-Rhône Rouge is spicy and fruity—an excellent choice for post-holiday meal time. 2010 McManis Family Viognier is a white wine with a peachy taste that will go well paired with New Year’s Eve hors d’oeuvres. If you’re looking for something a little different—and you’re ok with leaving the wine behind for a bit—Albee Hills is a dry cider that’s tart, refreshing, and doesn’t have carbonation. Increased holiday crowd levels call for something different, so choose beer and wine that will keep people returning for their upcoming celebrations.